This page is to serve as a petition for the Chicago Blackhawks to retire sweater #28, permanently honoring Steve Larmer as one of the greatest players in franchise history. Click here to read a great essay about Larmer by Chris Chelios on Blackhawks.com. Click here to view some great photos of Larmer that were posted on Blackhawks.com on Oct. 1, 2012. Not only should his number hang in the rafters next to his linemate, Denis Savard, but Larmer should be in the Hockey Hall of Fame. For the case for his Hall of Fame status, read here. He ranks 38th in team history in penalty minutes. 8 Chicago Blackhawks have won the Calder Memorial Trophy as NHL rookie of the year since 1926. Larmer is one of them. He didn’t miss a game for a decade. His 884 consecutive regular season games is an NHL record with a single franchise. He played in the postseason after every season he was a member of the Blackhawks. Named one of the right wings on the Blackhawks 75th Anniversary All-Time Team. Awarded The Hockey News/Inside Hockey “Man of the Year” after the 1990-91 season. Comment on this page with your name. We’ll keep your email address confidential. Also, if you’re a season ticket holder, please tell us that, too! Encourage your friends to support the movement. The more names, the better. When we get a strong enough number on this page, we’ll present it to the Blackhawks organization for their consideration. Let’s go! Absolutely! Gramps has been my favorite all-time Blackhawk since he put on the sweater. I, John Talarico, am signing my name in favor of Steve Larmer’s #28 being retired. STH-Section 328. Steve Larmer’s number 28 should be retired, C.S. He was my favorite Chicago athlete as a child while my friends was Ryne Sandberg. Sadly my first Blackhawks game my father finally took me to was January 16th, 1994 when he returned to the old barn as a Ranger. He got a massive ovation and scored on a penalty shot that caused us to blow the roof of the building. Best first game I ever went to and a moment I will hold dear to my heart forever. 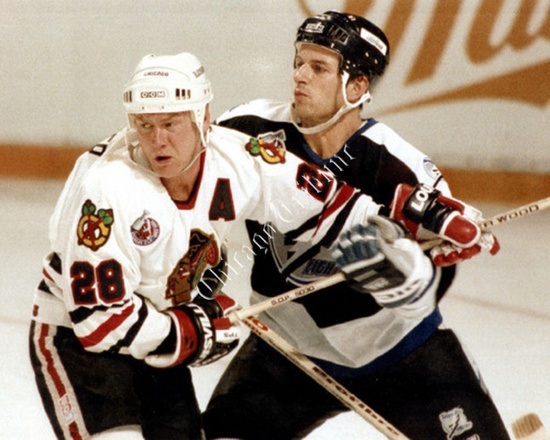 Retire Steve Larmer’s #28 immediately, if not….then sooner!!! Retire the number for Larmer! So as of right now, seems to me he’s the ron santo and jerry kramer of the ‘Hawks. Put me down for support! The man should be honored by the hall of fame but is not so let’s give him this one. Steve Larmer was a class act that brought his “A” game every night. Matched with Denis Savard they made the Chicago Stadium roar on countless occasions. “Gramps” ranks among the top in Hawks categories and ranks among the tops in the hearts of most Hawks fans. Savard is already in the rafters. There is no reason why Larmer should not be right on his side as he was back in the day on the ice giving his all. He was a great example of what it meant to be a Chicago Blackhawk. he deserves it, way to go tab. This is a NO BRAINER!!! This also explains how the NHL overlooked Larmer this yer! Pleeeeeeeeeeeeease Retire One Of My Childhood Hero’s!!!! Do the right thing Rocky….retire 28. Please retire Steve Larmer’s number! #28? You bet! Retire it & give him the credit and the honor he so richly deserves! Well deserved…please consider this Blackhawks! Retire his number – he brang it for us every game he wore the Indianhead!!!!! Retire his number! He is one of the greatest hockey players of all time! Retire #28 for Larmer- he`s worthy! I’m 100% behind this. Retire this mans jersey! Larmer is a Blackhawk legend. Retire #28. Larmer is a beauty and is one of the Hawks all time greats. Of course his #28 should be retired. Please send Steve Larmer to the HHOF. Retire Larmer’s number now! It is way past due. Larmer deserves to have his number retired! I was pissed when Wirtz wouldn’t sign Larmer and ended the ironman streak. (I was so pissed I rooted for the Rangers when Larmer wound up there. I rooted for a team from New York, for God’s sake.) This is the least the organ-i-zation could do to make it up to him. Wouldn’t mind seeing his number up in the rafters! I wore 28 one season for him. Please retire Steve Larmer’s number. I can’t stand seeing anymore Blackhawk players wearing #28!!! One of my idols back in the day-definitely has my vote!!! I’d love to see #28 in the rafters! Well deserved! One of the greats! Definitely belongs in the HOF. One of the most underrated players ever. I am happy and proud to sign my name for #28, Steve Larmer. GO HAWKS! Retire Larms’ number! Steve Larmer’s #28 deserves to be in the rafters of the United Center. What are you guys waiting for ,Steve Larmer’s #28 deserves to be in the rafters of the United Center. Let’s get this done. Signed. He deserves it without a doubt! Yes, Steve definetely belongs in the HALL OF FAME, come on Hawks fans lets make this happen. I am a season ticket holder and I want the Hawks to retire Larmer’s number 28. Let it hang in the rafters with the other great Hawks forever. i was thinking about this awhile back during larmer night. 28 should be raised to the rafters. Show Grandpa some respect…..retire his sweater!!! retire #28, he deserved it! Steve Larmer deserves to have his number in the rafters. Enough said! Would love to see #28 hanging from the Rafters! Look at the numbers and what this guy meant to Hawks fans… Retire that sucker. I’m a season ticket holder, and would love to his number hanging at every game. Steve Larmer is a class act! One of my favorite to wear the Indian head and he wore it proudly!He deserves to have #28 retired!!!! Thisnis a no brainer. Should have happened long ago. Savard doesn’t make hall of fame without Larmer on his wing. Retire 28 now. Signed, a lifelong Chicago Blackhawks fan who came of age in the 1980s and 90s with Savard, Larmer, and Roenick as my idols. Signed! One of the best Hawks ever! No. 28 to the rafters please! Signed! One of my all time faves growing up. please retire his number. he desrves it ! He isn’t deserving who is?? Hang the sweater and get him in the hall! Send #28 to the rafters! Signed. This needs to happen. Signed! #28 totally deserves this! Him and Chelios were my favorites growing up. Larmer has to be one of the most under rated players in the NHL. Let’s get his number up there! agreed put him up there! Larmer number retired and HOF. SIGNED! 20 year season ticket holder. HOF! Done! Definitely need to retire his number SIGNED!!!!! The stats dont lie! Signed!!! Gramps was the heart and sole of this team for more than a decade. For his number not to be honored is a travesty. Raise 28 to the rafters where is belongs. His number should be retired!! I plan on putting Larmer #28 on my Red Ultrafill Jersey!!! Retire the number and send him to the HOF. Loved watching Larmer, Savard & Secord together in the early 80’s! steve larmer coming up the wing, crosses the blueline and a wrister… HE SCORES!!!! need i say more.. hes a legend!! Steve Larmer should have his number retired and have a place in the HOF! Jeff Larmer should not! His number should easily be retired. Such a class act. #28’s rightful place is in the rafters! # 28 was an outstanding PLAYER! SIGNED! Huge Larmer fan. He deserves the honor! Signed here. This is a must do. It’s ridiculous that a petition is even needed…HOF NOW PLEASE. Retire Steve Larmer’s #28, and put him in the HOF! He does deserve it. As a lifelong Hawks fan and as a member of the Chicago Blackhawks Standbys, I whole-heartedly believe that Larmer should have his #28 hanging from the rafters. End of story. Steve Larmer should definitely be in the HOF. He was one of my favorites to watch play. Steve Larmer was my favorite player for the Blackhawks in the 80’s and early 90’s. I always considered him the most underrated player in the league. He definitely has my support to retire his number AND be in the Hall of Fame! Larmer deserves his jersey in the rafters and a spot in the Hockey Hall of Fame. Signed, sealed – now let’s deliver! Git er done – add Grandpa! Larmer was a big part of those early 90’s Blackhawks teams that got me into hockey when I was a little kid. Would love to see his number hang in the rafters! Mr. Larmer is a great man. I remember him coming to talk to the kids at my highschool. What an inspiration! HOF and retired number….no brainer. Do it! Signed!! <3 Padre Steve rocks my world. #28 definitely deserves to be hung in the rafters! I figured this was a no brainer. SIGNED…He was the first player I consider my favorite growing up. One of the best on and off the ice.Signed!!!! Absolutely Overdue! His number MUST be retired and he deserves to be in the HOF! Unquestionably one of the all-time great Blackhawks. I vote 28 to the rafters! I’ve been wanting Gramps’ number retired for a while now. He deserves it! Get it done, Rocky! Larmer (Gramps) #28 — Retire the Number- He was one of the many great players. I am so glad I got to see him play. So…… Put #28 up in the rafters!!!! Absolutely. Probably my favorite Hawk growing up. This is long overdue. This should have happened long ago. After reading Larmer’s statistics, he ABSOLUTELY deserves to have his number retired! You have my signature AND my (HOF) vote! Get 28 up in the rafters where it belongs. 2nd favorite player of all-time. His number deserves to be up there and I also think for the hall of fame also. Don’t forget he scored the game winning goal in the canada Cup final in 1991, shorthanded also. True class act. Get the 28 in the rafters! Great player, great teammate, class act and HOF worthy. Signed! Right now we have to get rid of Ben Smith or make him change his number that use to be 57 and now 28. Unless he is bringing attention to the hawks by wearing this number or he’s hoping to have luck from the number otherwise the number on Smith’s back gotta go and go far up in the Rafters where they are supposed to be. Steve Larmer’s consecutive game streak ended because of a contract dispute with “Dollar Bill” Wirtz, and he (Larmer) never went to the press about it. Absolutely a class act! That alone should put Steve Larmer in the Hall of Fame (and Bill Wirtz in the hall of SHAME). His Blackhawk statistics make it a complete no-brainer to have his number retired immediately. Rocky Wirtz, you have righted a lot of wrongs from the previous Blackhawk regime. You need to do one more: RETIRE STEVE LARMER’S #28 NOW! It needs to get done, #28 needs to take its place in the rafters ! You have righted so many wrongs, please right this one. Put #28 where it belongs…… in the rafters. What are they waiting for? Steve Larmer has always been one of my favorite players; gave it everything he had each night and always acknowledged Savard and Secord for his success. Other than B. Hull, best one-time release in the history of the Blackhawks. I knew he was good…didn’t realize how good until I started reading the stats. He definitely deserves the honor!! Hang No. 28 in its rightful place .. next to No. 18. Larmer totally deserves it!! Larmer HOF and Rafters!! Now!! Get #28 in the rafters of the Madhouse! My favorite all time Blackhawks player!! Put #28 up in the rafters where it belongs!! Number 28 needs to be flying high from the rafters at the UC. Please do this now! Signed!!! #28 deserves to be up there!! Quietly, one of the best Blackhawks to ever wear the Indian Head. Mr. consistent year after year. Hang the #28 from the rafters. SIGNED! Please and Thank You Chicago! All time great Blackhawk. Should never been traded. I have been a Blackhawk fan since the days of Bobby Hull and Stan Mikita and he is by far one of the best right wings in Blackhawk history. He not only deserves his number retired but, he belongs in the Hall of Fame. He could do it all one of the best all around wingers to ever play the game. Hey Rocky you have righted alot of wrongs it is time to hang 28 from the rafters nobody deserves it more. For those who vote on who goes to the Hall when you are looking for candidates you don’t have to look no farther than old number 28 he is your guy. Signed! It needs to be done!!!!! No need to even read the whole article (although I did) SIGNED by me as well. Why has it taken us this long to recognize this? Perhaps, he pi**ed in Rocky’s (or Bill’s for that matter) oatmeal and they said “Fu** him forever”. With those ridiculous stats how can we even think about doing it. COME ON HAWKS!!!!! I had seasons for his whole Chicago career and hoisted my elixir when he raised the cup in his honor. One of the best one-timers from the off wing. Signed. I didn’t need any articles or videos to convince me that Larms belongs both in the rafters at 1901 W. Madison and in the HHOF in Toronto. One of the best two-way players to ever play the game, that is where he belongs. When Dirk Graham won the Selke Trophy, he said that if Larms didn’t score so many points, hew would win the Selke year after year. Let’s put SLarmer where he belongs, in the rafters of the Madhouse! Wan not only a great player, but a class act on and off the ice. It is a shame that Larmer’s number isn’t in the rafters where it belongs! #28 gets my vote, put his jersey up in rafters at the U.C. There’s a reason why I wear a jersey with his name and number. My favorite Blackhawk of that time period. He deserve the Hall and his number to be retired. Steve Larmer was the quintissential power forward, and I have absolutely know idea why he doesn’t get the respect he deserves. There is no doubt in my mind that #28 should be up where he belongs, beside his linemate in the Madhouse. The fact that he wasn’t a first-ballot Hall of Famer is an absolute travesty. For my money, there has been no greater player to don the Indian head. Time to honour a great player and a heck of a guy. He’s 4th all time only after hull Mikita and savard!!! My favorite player of ALL TIME!!! Come on, already! Fav of all time… gotta be done!! RETIRE STEVE LARMER’S #28! I’ll be there for the ceremony! Retire # 28 Now ! Favorite Blackhawk player of all time!! Retire #28!! Retire #28! He deserves the honor! #28 – Larmer was one of the best! RETIRE the #. Being a season ticket holder in the old barn you can count on Larms or Grandpa playing both ways on the ice. On any important situation he was on the ice. Keenan knew that and that is the reason he was wanted in NY. If it wasn’t for Edmonton Larms would be in the Hall and not Kurri. Retire the 28 jersey. Agreed….It is certainly the right thing to do..!!! Retire Larmer’s #28 along with his fellow line mate Savard! Since my BHawks license plates are “HOF 28”, I’m guessing you know where I stand on this issue. Retire his number! He is on e of the best loved Hawks of all time! Retire 28, he deserves it! the stats speak for themselves. not only SHOULD his jersey be retired as one of the all time BLACKHAWK greats , he should also be enterd into the hall of fame. Other players with less ability have had their numbers retired or been admitted to the hall. Not to mention that Mr. Larmers intestinal fortitude are beyond reproach. BLACKHAWK managment should have no qualms about retiring Mr. Larmers number and doing whatever they can to help him get to the hall. Thank you. Completely agree. Great Career, great guy. Yes please retire Steve Larmer’s #28 !!! Steve was one of the best two way players in the league and an offensive marvel !!! I spent to many nights to count at Chicago Stadium watching Steve’s magic and i just cannot believe in 2013 that his number is not yet hanging in the rafters at the United center!! To Rocky Wirtz , Thank you for all you have done with my beloved Blackhawks , It was a long time coming !!! 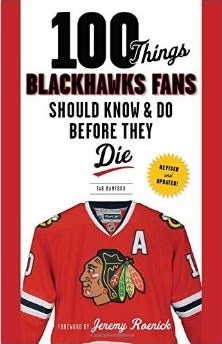 Please do right by Steve Larmer!! Thank You!! His numbers speak for themselves, there can’t be an argument against it. He should be a lock to have his # retired. Two sad days in Blackhawks history are when Larmer and JR took off their Hawk jersey for the last time. Rocky you’ve done wonders for us. But you cannot rest until #28 hangs from the rafters…I still remember the roar! Should have been done a long time ago! I remember seeing a story on Hockey Night In Canada on Larmer, and Mike Keenan commented that Steve Larmer had no deficiencies in his game. I suspect there are only a handful of players that Iron Mike has spoken so glowingly of. High praise indeed. Absolutely retire #28! Fortunate enough to have played minor hockey against Steve in Peterborough ON, Canada. (a hockey mecca in Canada!) His grit and stamina are legendary and his consistent point production put him in the pantheon of all time great Black Hawks! Time to retire his sweater and honour his contributions to Chicago and the game of hockey. Gramps was one of the best two way players the Blackhawks have ever had and is the best ever Blackhawk shooting the one timer. I was a season ticket holder during his years with the hawks and am a season ticket holder now. I love hearing from other fans about how great he was when I wear his jersey to the games. Rocky, you have righted a lot of wrongs, this one is a no brainer. Retire #28. #28 is a big part of the reason #18 is up there. Let’s get 28 up there too. The Blackhawks organization should retire #28 now. One of the humblest players ever to play and one of the best two way forwards in NHL history – and an ironman. I wear his jersey with pride. Although I loved Savard, Doug Wilson, Roenick et al., during his Hawk career, Larmer was my favorite player and I thought he was under appreciated outside Chicago and way underrated. He played a lot like Jonathon Toews but did it for a long time for largely mediocre Hawks teams. He deserves his number up in the UC rafters! He played the game the way it was meant to be played. Retire # 28. Do the right thing, Rocky! Let’s not forget the shoulders of giants that our boys currently stand on! With those number how could you even contemplate not retiring his number. He’s a Blackhawks legend retire his number. DEFINITELY!!! Wish he was more involved with Hawks, as an ambassador or something….maybe soon, as our current ambassadors are aging, he will get a chance! Steve’s #28 need to be retired! Why is it taking so long? section 220 season ticket holder!! #28 and #18 together in the rafters as they were on the ice only seems right! Retire his number, he has more than earned it. Retire Steve Larmer’s # 28, he most certainly deserves the recognition as one of the best Blackhawks ever. Not doubt, Steve Larmer should get his number retired and should be in the Hall of Fame! The most complete two way player of his time after Mark Messier! And then, we should seriously speak about number 24, Doug Wilson. He is one of the all time Hawks on defense. Look at his accomplishments! Crazy! Larmer should be in the hall. 28 is the only jersey I own. So sad that younger kids ask “who’s Larmer?” Of course I have to explain. He’s why I’ve worn #28 my whole hockey career. Put him in the rafters. He deserves it for everything he did and gave to the Blackhawks. I think one of the most underrated players in his era. Retire his number already! Steve Larmer was a Blue Collar type of Player who gave it his all every shift he was on. One can only imagine how many injuries He kept to himself just to go out and compete for his Team and his Fans! He was not a Media favorite but, He was a definite Fan Favorite! 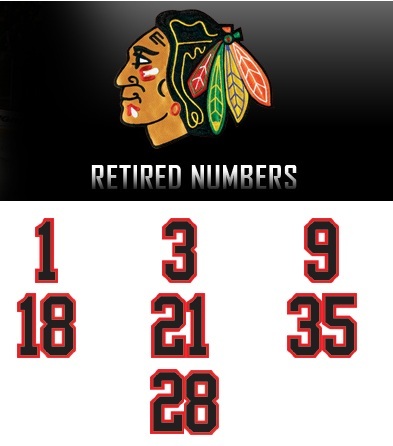 Steve Larmers number should be Retire and proudly displayed for all Blackhawk Fans past, present and future to see. He deserves that Honor! The Highest Scoring Right Winger in Blackhawks History should have his Place amongst the other Blackhawk Greats!!!!!! i grew up in the days of hull and mikita, then savard and secord, saw roenick when he was a kid. But larms just always was the class of the game at least to me. born and raised in the chicago area lifelong Hawks fan, and the only autograph i ever wanted was larmers. finally got one on ebay for 5 bucks, the best money i ever spent. broke my heart to see him win a cup in a rangers jersey. but i must admit its the only time i ever rooted for a team other than the Hawks. thanks to all the Hawks, but especially Steve Larmer. Larmer deserves #28 retired and HOF. Steve Larmer was not only one of the best Blackhawks of all time, he was one of the best the league has ever had. He was a great 2 way player and a model of consistency. He could do it all, score, kill penalties, defend and was durable. What he did for 11 seasons for the hawks was simply fantastic. No disrespect to Ben Smith, but I shake my head a little every time I see the # 28 on his back, when clearly is should be hanging from the rafters of the United Center. As a long time hawks fan, Rocky, do the right thing. Honor Steve the way he deserves. My favorite Blackhawk! Yes, retire #28…Ben Smith wearing that jersey isn’t right! I’m surprised its not already done! Of course Steve Larmer’s #28 MUST be retired in Chicago. I must add that Keith Mittelstaedt is right on button about Larmer. One of if not my favorite player of all time. That’s coming from a Habs diehard fan. He was also a big part of the beautiful 1994 NY Stanley cup team. One of the best team ever built in my opinion. Too bad it didn’t last. Steve Larmer is exactly the type of player that should be celebrated. He played hard every shift, he played hurt and he played the game ‘the right way’. He was the type of player you could put on the ice in any situation, whether you needed a goal or to prevent a goal. He was the first player you would send out in the most critical situations during the game. He is a Hall Of Famer, no question about it, look at the stats, a point a game, excellent in the defensive end, tough, durable, excelled during the playoffs. It’s a shame he is not already included. Then again, I’m sure it means more to us than it does to him. The very least the Blackhawks can do to honor him would be to retire his number, and let it hang high above the game he once played with so much class. Retire it and put him in the Hall of Fame!! Come on Rocky Wirtz, he may not be in the hall, but he deserves it. Not only that, retire Doug Wilson’s 24. Both excellent ex-Hawks from the Savard era. Roenick and Chelios are debatable but both of these legends deserve a their spot in the rafters. Plus, they here all but the last 2 seasons of their careers each. Let’s do this, he deserves it. Go Larmer , Go Hawks! No one else should be wearing his number. He definitely was a stellar talent on many great teams and some not so great. He deserves to have his number retired now, honor him now while he is alive. Steady 2 way player…+206 career! Been a Blackhawk fan all my life. Larms still involved in our community. Put #28 were it should be – with the other GREAT Hawks. He was a great player and a great leader. He is the epitome of the type of player who is a childhood idol and role model. Though he left the team on less than ideal terms, he represented the Blackhawks and the NHL with class and dignity. It’s a shame it’s not retired already. Count me in! My hero! Alway amazing! Gramps all the way! His stats alone should be enough reason to retire his number. 884 consecutive games played, on top of that? C’mon?! He’s got some hardware to go along with it. Then there’s his personality and work ethic. Sure, he wasn’t the fastest player on the ice, but he was one of the most consistent. Not only should his number be retired, but he should be in the Hall of Fame as well. Damn good player, even better person! Retire #28 Grandpa deserves it! I’ve loved the Hawks since becoming a fan is 1969 and have loved many Blackhawks players since then, but Steve Larmer is my ALL TIME FAVORITE player!! He could do it all and was dependable and consistent. My only Blackhawks jersey that I bought in 2011 HAD to be one with Larmer’s name on the back. Time to retire the number 28, and invite him back to the stadium!!! Long overdue. Retire #28. Perhaps the only misstep by the new regime. Just do it already, seriously. Without question, his number should be retired. The statistics speak for themselves. That being said, I think even if the number is retired, Ben Smith should be allowed to continue to wear it until his tenure with the Hawks comes to an end. Signed…..Hang #28 from the rafters with the other Blackhawk greats! What had taken this long. From a long time season ticket holder. Steve alarmed should absolutely have his number retired. As a kid growing up in the ’80’s watching and listening to the Hawks, to me the name Larmer was synonymous with Savard. Just as we always heard Hull with Mikita and we hears Toews with Kane, Steve Larmer meant as much to the Hawks as Savvy. 9, 21, and 18 all hang from the rafters and someday we all know 19 and 88 will as well. It is time for 28 to join them! His statistics speak for themselves. His line-mates and teammates speak for the rest. Just do it! Larmer deserves it! Great player and a class act. Retire #28. Larms deserves it! #28 was great. Larmer also played a critical role in Rangers winning Stanley Cup. That may not be that special to the Blackhawks, but it’s a testament to Larmer’s talent. I wonder how much better Larmer could have been if he hadn’t smoked cigarets during his years as a player. Steve Larmer played both offense & defense at very high levels. One of the best to ever put on a Blackhawk uniform and one of the best to play in the NHL. Retire #28 and get him into the HOF. Steve Larmer should’ve had his number retired 15 years ago. I concur. Why hasn’t it been done already!!?? The #s sperak for themselves- for the hall of fame and permanent honor in the rafters of the Madhouse!!! As a season ticket holder in the 1980’s I proudly purchased a white home #28 and wore it in the upper deck of the Old Barn. Almost 30 years later, once again as a season ticket holder, I still proudly wear my white #28 Larmer (now signed!) in Section 310. My son knows who Larmer is, as well as Foley’s “LAAAAARMER,” although my son wears the red #50 or #88 of the new generation. Savard’s #18 hangs from the rafters. His linemate’s #28 should also. Please retire this man’s number. It should have been done already. Born in the late 70’s, I grew up watching the 80’s Blackhawks. I proudly just purchased a custom #28 Larmer sweater, today. He, along with Savard and Doug Wilson were always my favorites as a kid. Larmer’s longevity and consistent production have EARNED him a spot in the hall of fame. I hope I see the day when I get to visit Toronto and see his name listed there in the hall. At the very least, his number 28 should hang in the rafters of the UC. Started my love affair with hockey. The announcers call of “Laaaarmerrrrrr!” or “Savaaaaaaard!” We did that at school incessantly. He is indisputably one of the greatest Blackhawks of all time. I cannot believe this mans Jersey has not been retired. WTF is going on!!! It’s time to retire Larmer’s number 28 ! He played his heart out for the hawks, and the way he was treated by “Dollar Bill” at the end was a crime. Retiring his number will not make up for how his career ended in Chicago, but it would be a start. I believe Steve Larmer’s #28 jersey should be retired. One of the classy players of the Blackhawks truly deserving of this recognition and honour. Larmer’s #28 should be retired by the Chicago Blackhawks! Let’s get this done! Time to retire his number and make him an Ambassador! This should be a no brainer! Go Larms #28! No brainer! Make it happen Blackhawks!! #28 Greatest Hawk of all time! Number should be retired then idiot Bettman and his lacky’s have no choice but to put him in the HOF where he belongs. Way overdue and embarrassing. No other player to wear #28 for the Hawks should even be allowed to sharpen Larmer’s skates. He should have had his #28 retired and he should have been in the HOF a long time ago!!!!!!!!!!! Are you kidding me? Steve Larmer should have his number retired without question, He played full throttle every night. The Chicago Blackhawks should be ashamed of the way they treated Larmer in the end. Best 2 way right wing Hawks ever had. Went to N Y in 94 ala Keenan why because was best r.w. in league at the time. Meet him at Hawk convention in 15. Total class act and still in game shape. He seemed to be a very unassuming player but made a much bigger impact than realized until his departure. Impressive games played streak, especially during that era. I believe he should be in the Hall of Fame and his number deserves to retired as well. Even living in Toronto, I am a Huge Blackhawks & Steve Larmer Fan. And when I decided to treat myself to an Authentic Blackhawks Jersey it was without a doubt #28 LARMER. Too bad Pulford didn’t understand Larmer’s true value as much as Mike Keenan did in NY. Result: Rangers Win a Cup – Blackhawks Lose a Class Player! You mad? certain nice points there. I did a s?arch o?n the subject m?tter and found mainly people will have th? same opinion wit? y?ur b?og. #28 Larmer deserve both HOF and # retired. Season ticket holder. Steve Larmer should be in the Hall of Fame. My favorite Hawk, don’t know why #28 isn’t hanging already!!!! It’s not too late to retire 28, way overdue. It’s an embarrassment that Larm’s number has not been retired yet. One of the greatest to ever wear the Indian Head. To see it on anyone else (Jokiharu, really?) makes me angry. He gave it all every night for this team. Give him the respect owed. Great player and person that exemplifies professionalism.